Despite the Trump administration’s apparent attempt to bury the National Climate Assessment by releasing it the Friday after Thanksgiving, the overwhelming sense of urgency elicited by its alarming findings has been swift. 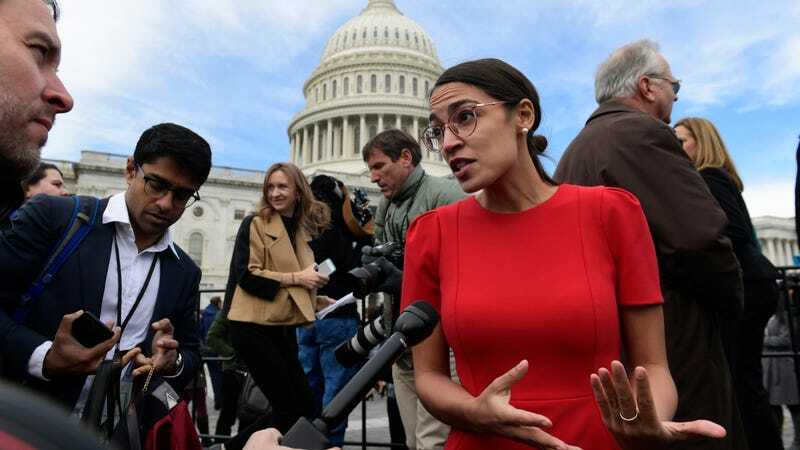 Alexandria Ocasio-Cortez, the newly elected congresswoman who’s already pushing for better and more aggressive climate action, was among Democratic leaders demanding action in the wake of the report’s release. Ocasio-Cortez has been a vocal proponent of the Green New Deal, which among other things aims to create clean energy jobs and eradicate fossil fuels as a source of power by shifting solely to renewables. During congressional orientation week, Ocasio-Cortez joined protesters from two progressive groups advocating for the Green New Deal and demanding bolder and more aggressive action on climate change from Democratic leader Nancy Pelosi. Representative Eddie Bernice Johnson also released a statement on the report, specifically pointing to recent natural catastrophes that have been exacerbated by climate change. Just days after demonstrating a lack of understanding about the difference between weather and climate, President Donald Trump has remained mum on the report.